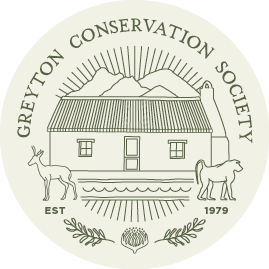 The Greyton Guide is the conjoined product of the Greyton Conservation Society and the Greyton Tourism Association. It came about through the efforts of Leslie Ives, Leone Rouillard, Nicole Rouillard and Colleen Goosen, over a two year period. Many Greyton residents and professionals donated images and text to the document. 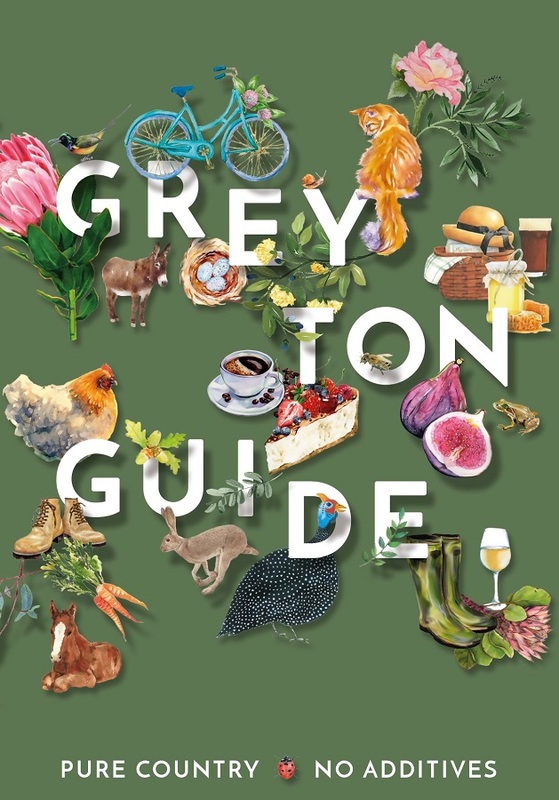 It is a general guide book for the town of Greyton and reviews accommodation, shops, NPOs and local activites and wildlife. It features a 48 hour recommendation for weekend visitors, a map of the town, maps of the most popular hiking trails, an MTB map, a regional map and a historical walk and map. It has full descriptions of the hiking and MTB routes. 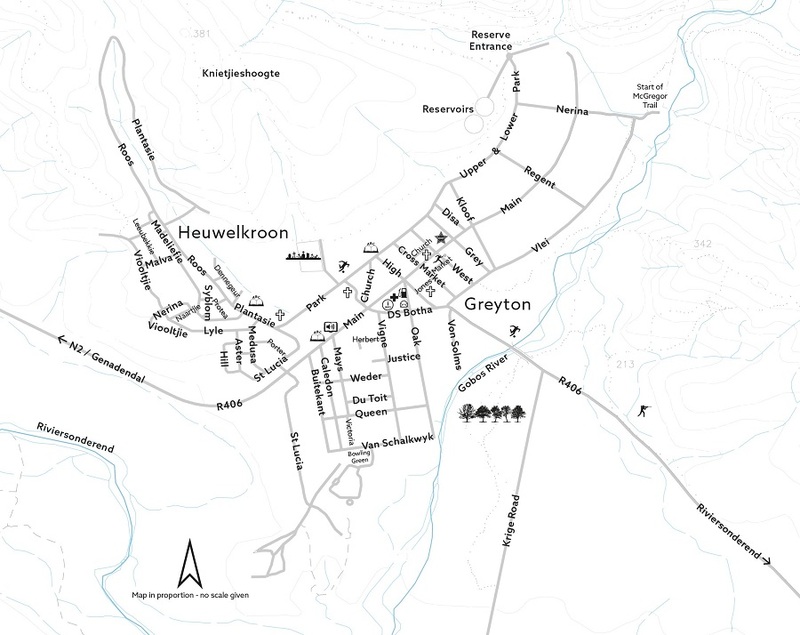 It has sections dedicated to the history of Greyton and Genadendal. It is sold in shops and at the Tourism Office for R60. All proceeds go toward the continued efforts of the volunteer organisations responsible for publishing this precious document. Please contact either organisation if you would like to receive a copy or become a vendor of these beautiful books.